Q: Where are Medicopia's offices located? A: Medicopia's dynamic team is headquartered in Montreal, Quebec. Our state-of-the-art manufacturing and distribution centre is at the ready to deliver our Platinum Grade natural healthcare products, wherever you may be. Please contact us at support@medicopia.ca to discuss how we can best meet your needs. Q: What is the telephone number of your order desk? Q: Where can I get your products? 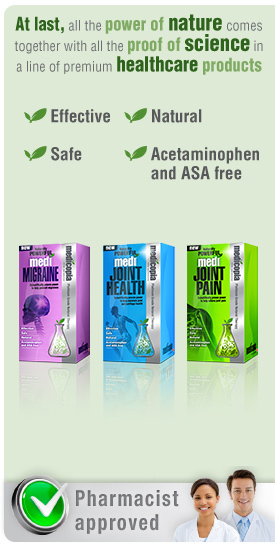 A: Until recently, Medicopia Platinum Grade Natural Therapies were only available through the finest Canadian pharmacies. They cannot be purchased at discount chain stores, big box stores, grocery stores or health food shops. Now, we are pleased to offer our line of premium products to you, online. Q: Is Medicopia developing more products? A: At Medicopia, we are continually developing new healthcare solutions and adding new and exciting products to our line-up. Please bookmark this site and check it regularly to see our latest additions. Click here to see our newest products now.